We’re your advisor, sounding board and partner. From understanding the implications of buying or selling a business, to creating a financial plan for your future, to choosing and implementing a new accounting system, you can rely on us. Your personal and business success is how we gauge our worth. At Johnson, Glaze & Co. we help identify profitability and growth issues. Then develop practical, technically sound solutions that match your needs. A properly structured financial plan enables you to face any financial challenge that may present itself at each stage of your life. Through the financial planning process, we can help you assess your financial needs and develop strategies that will enable you to achieve your goals and strengthen your financial security. We can also help you interpret any pre-existing financial statements or answer any questions on statements we prepare for you. The most common question any leader of a business or non-profit organization asks is “Where did the money go?” That is cash flow analysis in a nut shell. Understanding cash flow is critical to any organization, and we can help. That includes budgeting, projecting, banking and preparation of cash flow statements. With exceptional accounting and auditing skills, we provide an analysis of financial records in conjunction with fraud and theft investigation. Our damage measurement methods can determine the extent of financial loss and illegal accounting practices. 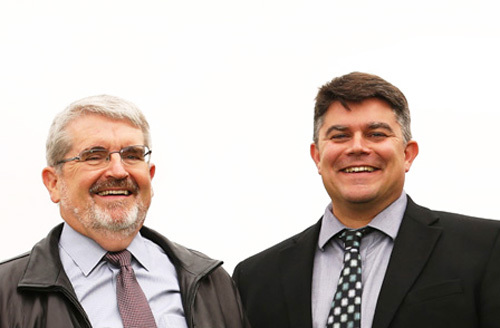 Larry GLaze, CPA/CFP® and Michael Blanchard, CPA/ABV have been helping our clients with their businesses and financial planning for more than 20 years. Successful implementation and periodic review of your financial plan will ensure financial independence during your working years and through your retirement years. Meet with Larry Glaze and Mark Vermillion, our Cerified Financial Planner™s now to make those golden years truly “golden.” We offer help in creating flexible financial plans to help prepare you for retirement. Ready to take your business to the next level? A little sound advice goes a long way when dealing with business accounting and financial matters. Our expert consultants can help you map out a plan to meet your objectives. Call 503.390.7880 or email us today for an appointment.